Imagine your own single-story country estate with extensive Las Trampas views! Located on an expansive .91 of an acre plateaued lot, the home contains 4 bedrooms, 2 Â½ bathrooms with 2,717 sq ft of living space. The home has hardwood floors in living areas, an updated furnace and AC system, Certain Tweed French doors, sliders, windows, and a new roof (2015). 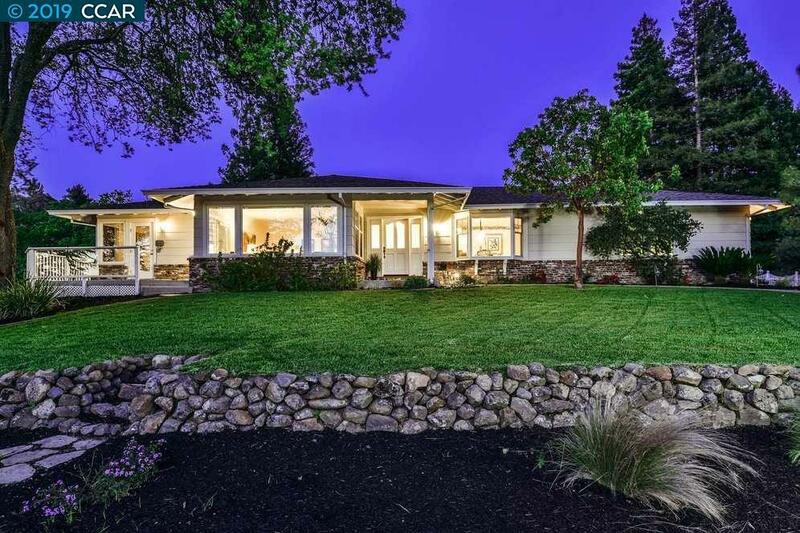 The front yard, dining room, living room, and front deck boasts picturesque valley and Las Trampas sunset views. The kitchen, family room and master bedroom are centered, and all have access to, the backyard's patio, which overlooks the privacy of the backyards pool, lawn area and mature tree setting. The guest bedrooms are situated for ideal light exposure. With space for potential expansion, the lot could have a potential in-law unit, further home addition, or RV/boat/specialty car garage. An incredible opportunity to be close to Downtown Danville while having the views and ambience of a country-style estate!